Business owners are happy to learn that they can make use of phone words to market their business with. Even though there are numerous phone numbers they could make use of, 1300 numbers have a prominent place with Australian business people. It is amazing to realize that just over 85% of Australians are making use of SMS as a means of communicating. When you focus your attention on 1300 numbers you will discover that it is the way of the future, and that people in Australia would simply use that same smartphone or cellphone to call their preferred service provider by tapping into their memories instead of still having to bother finding their phone number. Companies who make use of phone words starting with the number 1300 will find it super easy to relocate to other areas of Australia when need be. All this without having to reprint or modify your business stationery and documentation in any way as your 1300 numbers remain the same wherever you go. 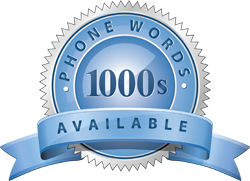 Anyone calling a business using phone words would be redirected to the location where they find themselves. Calls made to your 1300 phone word would either go to the nearest call centre or to your cellphone, meaning you never have to lose out on business. Texting to 1300 numbers are another acceptable form of communication as it can handle voice as well as SMS communications. This increases your market reach as most customers nowadays prefer texting as opposed to calling in. Customers will find that the first 15 minutes of calls made to a 1300 phone number is free of charge. This enables consumers to reach their preferred service provider without spending too much money if any at all. Business people all around Australia find that using 1300 numbers are a good marketing tool as well due to the fact that the intend of their business is spelled out by the words following the 1300 prefix. Consumers would prefer dealing with businesses who make it easier on them to recall their phone number while saving them money on paying for phone calls made.